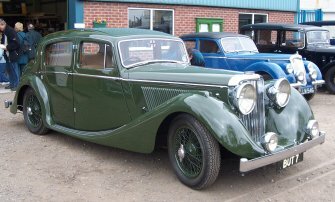 A sports saloon with a 2.5 litre overhead valve engine, 4-speed synchromesh gearbox and Girling rod brakes, this model marked the true change in SS Cars Ltd from coachbuilder to motor manufacturer. 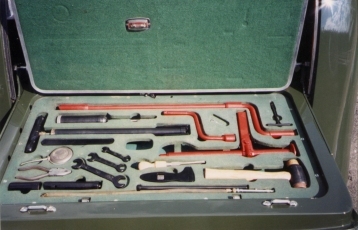 The company had moved into manufacturing and repairing car bodies, moving to Foleshill near Coventry in 1928, having begun building motorcycle sidecars in Blackpool in 1922. Later, an agreement was made with Captain John Black of the Standard Motor Co for the supply of rolling chassis to receive the Swallow bodies, leading to the formation of SS cars. Introduced in 1935, this model is powered by a 20hp Standard engine with a Weslake overhead valve cylinder head, mounted in an under slung chassis by Rubery Owen and has a top speed of 85mph. 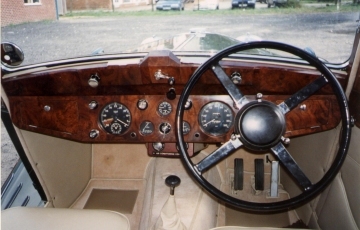 The early models were built of steel panels on an ash wood frame, but all-steel construction was employed from 1937. 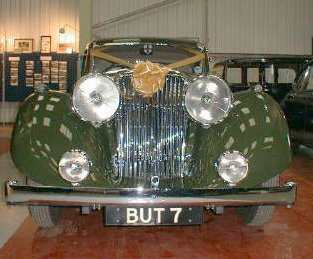 The price of this car in 1939 was £395 and it is believed to be the only survivor of the 129 cars of this type built. William Lyons changed the name of the business from the Swallow Sidecar Company to Jaguar Cars Ltd in 1945. Bought by three Society members (for £ 25) in the early 1970s, this car was described as (then) being "rotten from the windows down and completely worn out mechanically" having been off the road for a number of years. 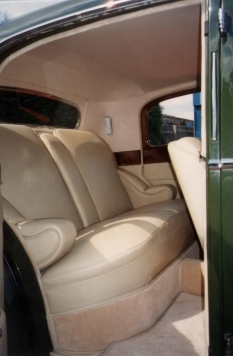 An extensive restoration followed, the car being finished in 1994. Click here to read more about the restoration - and see the 'before' photographs! January 2010 - The SS passed its MOT just before the November Open Day, so next year it will be seen flying along 'like a Swallow'.